The more closely you inspect this amazing-looking flower, the more complex and beautiful it becomes. The flowers are deep purple and have five round petals which are fused at the base. It is the stamens, which are also purple and have bright yellow tips, that extend outwards and give the flower its fuzzy apperance. Purple Fringe often grows in clumps of up to five flowers which resemble mad frothy bouquets. The range of this lovely wildflower is throughout the western mountains of North America, and we photographed them in the Rocky Mountain National Park They also occur in Yellowstone National Park. 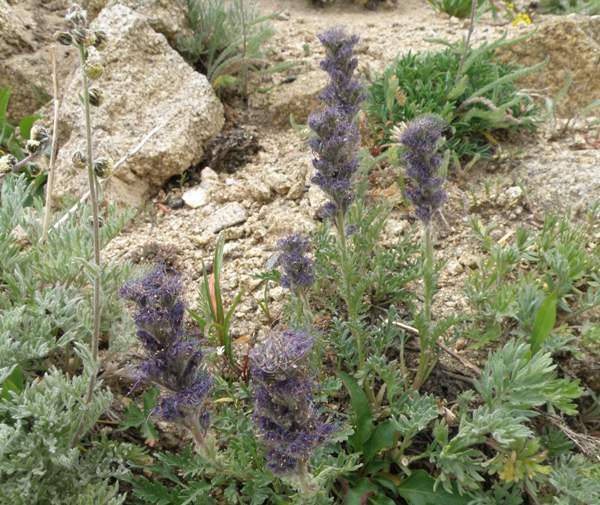 Purple Fringe is a montane plant and grows high up on rocky slopes and ledges, in alpine and subalpine gravelly places and along roadsides.